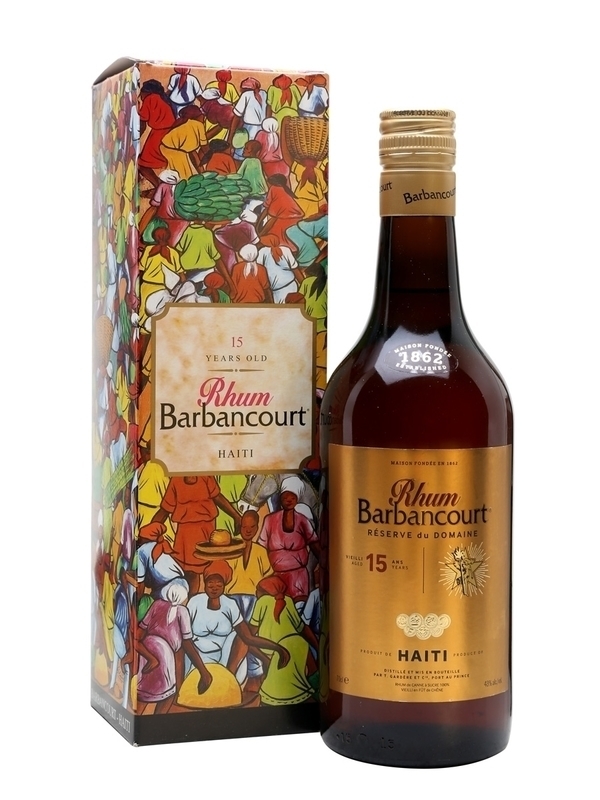 Have you found an online vendor selling Barbancourt Estate Reserve 15-Year? A very nice aroma in the bottle. Hints of sweetness. The flavor is wonderful with butterscotch notes and a warmth to it rather than a harsh burn. I detect some woodiness to it but not really a strong oak so I'm not sure what they aged it in although I have read they aged it in rather large barrels. A tongue tingler for certain. A very good rum. Wished they had used a cork rather than a cheap screwcap. Found this and was impressed by the deep fruity taste without too much sweetness. Will be my regular go-to rhum. Sugar: estimated at 8-10 gpl. To me it seemed that the blender added some form of sweetener to soften the Agricole bite in this rum. Okay taste with wood, caramel but it tasted like they added sweet n low to the blend leaving a what is that taste. Good mixer, but not a sipping rum for me. The thing is how many times are you in Hati. So not exactly the easiest to find but one to grab if you can smooth and nice. Nice rum for a cool night. Great over a big cube. A favorite. Served to a few whiskey drinkers and they loved it. This should be it! Dry, yet balanced and smooth. I don't care for the other agricoles I've tried and in general enjoy dry rums, but wow this is well done! Not that great as a sipping rum. Heavy alcohol tastes even after letting it breathe for a while. It is best on the rocks or as a mixing rum. Has taste of good cognac, dry, nuanced. Guess I was expecting more rum profile. Nice, but a bit of a surprise. After a few tries I am raising my rating. Very good in a daqari recipe. Smooth, pleasant aroma. Usually I go for corked bottles but this was an amazingly good rum. Big step up from the 8 year. Un ron bastante robusto, y con mucho cuerpo. Nada delicado, seco y raspa, pero una boca llena de mucho sabor. Un verdadero regalo de Haití. I am told there should be some grassy notes but cannot say I recognize them. Still learning. This is some primo stuff. It has a nice aroma with just the right amount of burn needed. Goes great over some ice or in a mixed drink. This was a gift from a friend in Florida and is not available to buy here in Texas as far as I know. If you get a chance to purchase some. Please do and revel in its spicy flavor. Just found this hidden treasure upon organizing my bar, given to me by a client and I found it very useful for my tiki mixology, I have used it in many mixes with great success and just tried it neat with an ice cube and really enjoyed it! It is oak aged and has some bite which may be too much for some, I normally like sweet sipping rums like Diplimatico, but I still enjoyed this agricole. Barbancourt 5 stars 8 year Rum is one of my favourite rums and has, thus far, been the only Agricole rum I enjoy. Well, the 15 year version is also very good but not as good as the younger one which is also 40% cheaper. Nevetheless I still enjoy this rum. 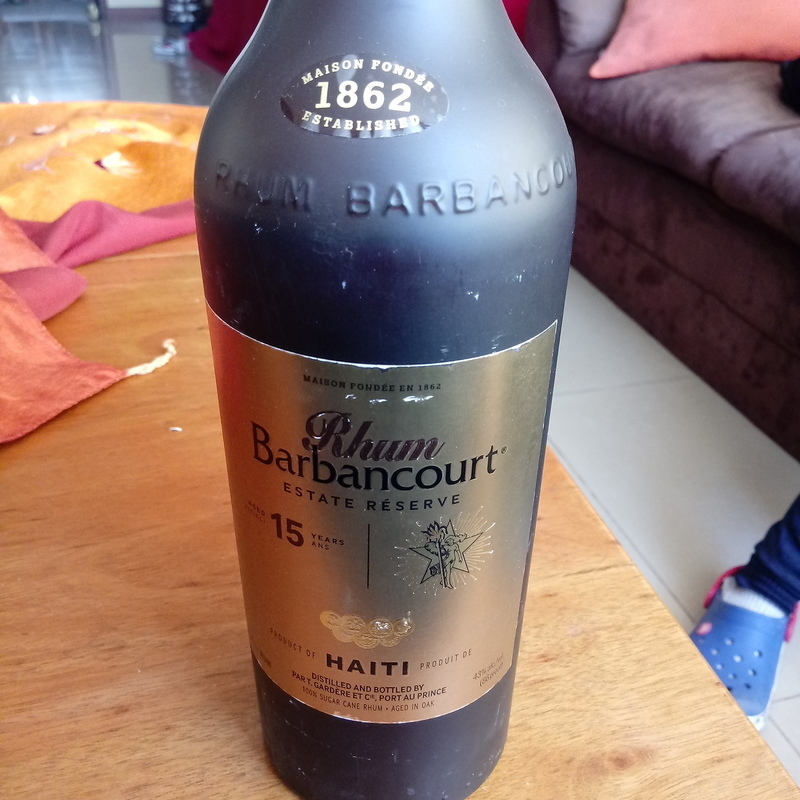 It has been a very long time since I have tried any rum from Barbancourt and since reviews after the quake were mostly bad, I did not want to buy a whole bottle. So I ordered one shot of this 15 year old neat in a well stocked bar. The bottle is totally new, which is why I did not recognize it behind the bar. It is very dark with no aroma and a slight burn on the tongue with no after burn. There are also no notable flavors and this is just an average tasting dark rum that tries to hide it's agricole roots. For what it is, this one is too expensive at $48 per bottle or $9 per shot. I could not wait to finish it so that I could move on to my third and final trial of rum shots tasted. The smell is sweet and easy. The taste is a truly rum taste. No spice, no extra sweetner. Simply grand rum taste. Smooth enough as well. Very smooth with little to no burn. Notes of caramel, pineapple, and a bit of spices. 43% ABV. Very rich in nose and flavor. Deep vanilla and caramel. Dried fruits. Leather. Thick, oily mouthfeel. Hint of tar (yes!). A local Cuban restraint here in Memphis has the whole line of these stocked on the shelf, and let me tell you this rum didn't disappoint. 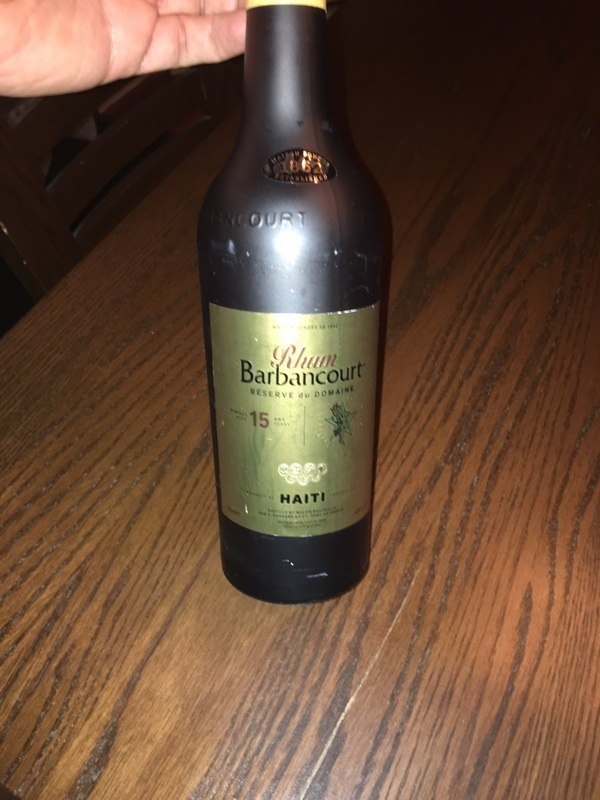 Although, I have had this rum before with my father, the bottle I had was from many many many years ago (long before I was born) and I wasn't expecting Haiti to be able to put out that quality rum anymore. Especially not after the toll that the country has had. Yet, I was surprised when I got to this one, because I saved this one for last of the three I had, I wasn't expecting much from it. Not after the 4 and 8 years let me down. However, this rum is a well balanced of fruit and spice that's not over the top sweet. However, it does have an over earthiness aspect to it but an ice cube helped mellow that out without diluting the other flavors. Nothing really wrong with this rum, but it wasn't a standout for me. At $50, it doesn't compare favorably with the competition. Subtle and smooth, slightly dry. Finishes nice.